Dr. Demetrios Demetriades graduated the medical school from the University of Athens. He is now specialized in General Surgery and is also board certified in surgery. 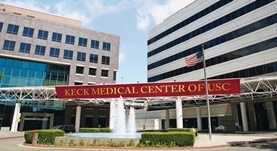 Dr. Demetriades has been in practice for more than 20 years and is affiliated with the Keck Medicine of USC. He is able to operate on people in order to repair or remove the damaged tissue. During his career, he has contributed to various publications of medical interest. Dr. Demetrios Demetriades has contributed to 3 publications. The impact of helmet use on outcomes after a motorcycle crash. Khor, D.,Inaba, K.,Aiolfi, A.,Delapena, S.,Benjamin, E.,Matsushima, K.,Strumwasser, A. M.,Demetriades, D.; Injury. 2017 Mar 01. Brain Trauma Foundation Guidelines for Intracranial Pressure Monitoring: Compliance and Effect on Outcome. Aiolfi, A.,Benjamin, E.,Khor, D.,Inaba, K.,Lam, L.,Demetriades, D.; World J Surg. 2017 Feb 12. The effects of body mass index on complications and mortality after emergency abdominal operations: The obesity paradox. Benjamin, E. R.,Dilektasli, E.,Haltmeier, T.,Beale, E.,Inaba, K.,Demetriades, D.; Am. J. Surg.. 2017 Feb 22.